The financial world is transforming from traditional financial institutions to innovating mobile-only banks. Banks, insurance companies, Payment Service Providers and Fintech startups demand innovative and reliable global services, identification methods, fraud prevention and marketing tools. CM has proven to provide numerous mobile solutions for the finance industry in one platform. We enable all banking and finance institutions worldwide to easily step in and front run on innovative communication, interaction, transactions and identification. All in one secure platform. CM supports mandatory authentication (PSD2) for electronic transactions or co-worker login-sessions for digital portals. Next to VPN or a HTTPS connection, a GEO IP location API is available. Instant worldwide communication is essential when verifying a login session or transaction. CM is connected with over 60 direct operators to ensure a 90% delivery within just 10 seconds. Immediate insight in your traffic, act on real-time trends and enhance customer satisfaction with our analytics tool. Our Network Operations Center is available for support 24/7. Face-to-face identification has long been the only way to perform verification and authentication of an identity. For the financial world, correct identification of a person is an indispensable element in almost all consumer processes. Their customers can access online services anytime and anywhere. That is why mobile and online identification are becoming increasingly important. CM offers globally activated solutions to validate someone's identity on distance. Customers of the ABN AMRO bank, one of the largest banks in the Netherlands, can easily log in to their ABN AMRO Lease account with One Time Passwords. Together with token specialist RSA and CM, they have simply added SMS as the second authentication layer to their login process to ensure that the log-in session is done by the authorized user. Transactional platforms in the Purchase-to-Pay, Electronic Trading or Wealth Management domain provide increasing transparency to clients on a specific transactional status or change. Communicate with any client globally and instantly via mobile messaging. 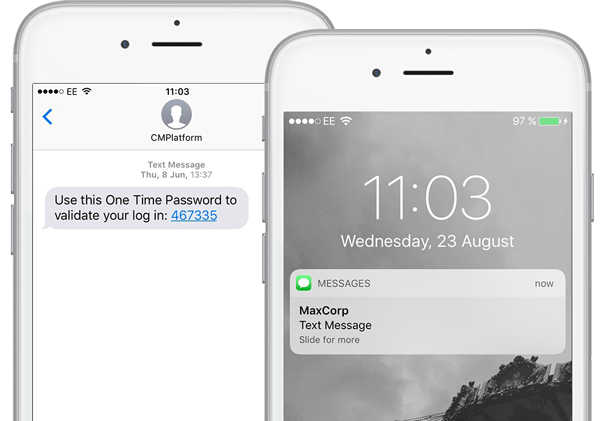 Reach your clients on their mobile phone around the world by SMS, RCS, Push notifications and Hybrid (Push with SMS fall-back). Use messaging to send notifications, to inform your clients about a bank overdraft or critical warnings. Innovative FinTech startups need a fast, safe and simple integration for mobile payments and Two Factor Authentication (2FA). 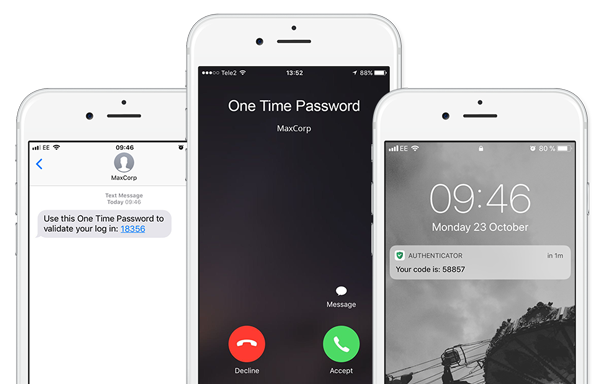 Our wide range of reliable access products via SMS, Push and Voice provides authentication solutions for mobile, online and in-app transactions. The number of financial fraud cases grow continuously. Fraud prevention and data protection are at top of the agenda at most banks and other institutions. Number Verifier, based on HLR, is here as a solution for card cloning fraud and data theft. The likelihood of a valid transaction or withdrawal can be checked automatically. For this, the location of the users’ mobile phone and the used ATM are compared. This fraud prevention solution of CM can easily be implemented in existing processes. Together with token specialist RSA, CM.com takes care of the SMS traffic – meaning clients of ABN AMRO Lease login quickly, easy and secure using One Time Passwords. By using our SMS solutions, Interpolis Insurance now alerts their customers in case of storm, heavy rain or an increased risk on burglary. Binck Bank uses CM's SMS Gateway to easily send news alerts, exchange information and post time alerts to clients who opted in for those services.